Adventist La Grange Memorial Hospital issued the following announcement on March 19. 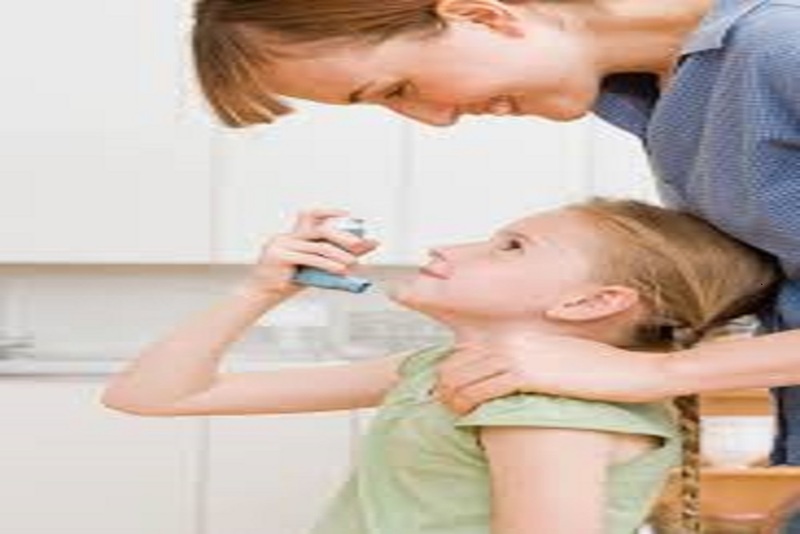 Asthma is very common in the United States, affecting 8.3 percent of all kids here. But why asthma develops isn’t clearly known. Genetic factors are certainly an issue, but environmental factors are a concern as well — around the world, asthma is much more common in developed countries than elsewhere. Even though we know that asthma most frequently starts in children under five, it can be tricky to spot the symptoms in this age group. Many preschoolers only get asthma symptoms when they’re going through a common cold, and most kids who experience this kind of asthma improve by the time they make it to school. Asthma, if not well controlled, can interfere with child’s activities and quality of sleep, and serious symptoms can lead to hospitalization. If you think your child might have asthma, schedule an appointment with an AMITA Health pediatric pulmonologist to develop a treatment plan. In the meantime, here’s what you need to know about asthma symptoms and risk factors. Certain circumstances can make an asthma diagnosis a lot more likely, although asthma can occur even in people who don’t have any known risk factors. But there are some background conditions that you can be aware of to better understand your child’s risk. If a child has first-degree relatives (like parents or siblings) with asthma or an allergic disease, they’re more likely to have asthma. And if the child himself/herself has one or more allergic disease such as nose/eye allergy, food allergy or eczema, that will also increase their risk. A severe respiratory infection in the first two years of a child’s life would also increase their risk of developing asthma. Children whose mothers smoked during pregnancy are substantially more likely to have asthma, as are children who are frequently exposed to second-hand smoke. Additionally, children who were born premature have an elevated risk as well. These symptoms could also indicate other respiratory diseases, but if they improve with asthma treatments, that’s a good sign that you’ve found the right culprit. When you begin to suspect that your child might have asthma, you can make an appointment with an AMITA Health pediatric pulmonologist for an official diagnosis. There isn’t a specific test to diagnose the disease, so your doctor will make their assessment based on symptom patterns and medical history in addition to the physical examination and follow-up. There are a few tests that can support a diagnosis, even if they can’t definitively prove it. These include breathing tests such as spirometry test, exhaled nitric oxide test, or impulse oscillometry test. Allergy test can also support a diagnosis of asthma. One of the reasons that it can be challenging to diagnose asthma is that there are quite a few conditions that have similar symptoms. That’s why one of the strongest indicators of asthma is whether or not asthma treatments are effective against the symptoms. Bronchiolitis, a common infection of breathing tubes affecting infants and young children, has many symptoms similar to asthma. Foreign body aspiration into the breathing tubes (usually seen in young children who can choke while eating foods such as peanut or after placing other foreign objects in the mouth such as toy parts), if not recognized can mimic asthma symptoms. Other conditions that may look like asthma include immune deficiency diseases, heart disease, cystic fibrosis, primary ciliary dyskinesia, congenital structural airway abnormalities (child born with narrowing in some part of breathing tube), and frequent aspiration of food into the lungs due to problem in swallowing mechanism. Although asthma can be difficult to definitively recognize in young children, it’s one of the most likely explanations for a kid with a chronic cough, wheezing or respiratory problems. Make an appointment with an AMITA Health pediatric pulmonologist today to diagnose your child’s respiratory problems.